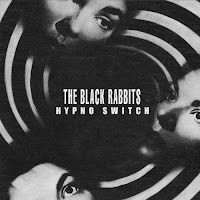 JP's Music Blog: CD Review: The Black Rabbits Turn On The "Hypno Switch"
CD Review: The Black Rabbits Turn On The "Hypno Switch"
From Orlando, FL comes the indie-rock band The Black Rabbits with their latest release, “Hypno Switch.” The album was produced by Stan Lynch (Tom Petty & The Heartbreakers) along with Billy Chapin and features ten songs that perfectly capture that raw, young, energetic energy. The Black Rabbits will be touring in the Florida area beginning July 19 in Orlando. To find out more about this young, rising indie-rock band, please visit their Facebook page at www.facebook.com/theblackrabbits.